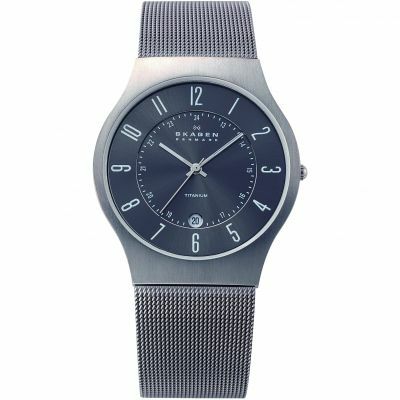 Sleek mens Skagen watch in stainless steel, set around a silver dial with numeral hour markers and a date function. The watch fastens with an understated bracelet. Excellent product and very good service.The range is absolutely extensive.Everything is clearly laid out with all the relevent detail and customer feedback. 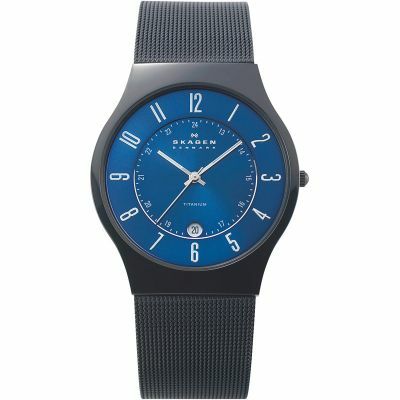 this is an absolutely fab watch, simple, understated style that is suited for smart and casual use. It has a slim face which makes it really wearable and lght - so I'm told by the man who received it. He was really pleased with it. Beautiful mens watch...even better than I anticipated! The packaging itself is superb. The watch is refined and elegant... so happy I bought this one! 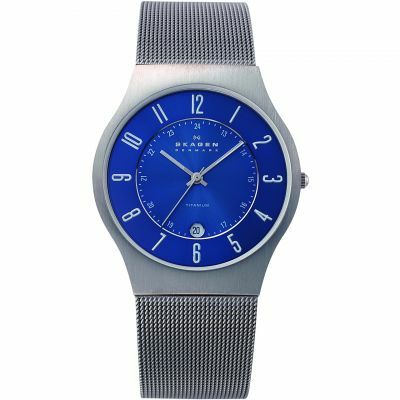 I think the watch is very stylish and have recently purchased another one for my fiancee, they are very slim light weight and it has been one of the best buys I have made for a long time, these are wedding presents that is going to take place in 3 weeks time. wanted a watch simple in design yet great detail on closer inspection. strap easy to adjust watch face itself clean and clear. just what I wanted.